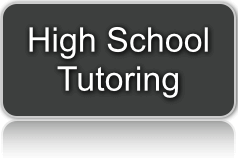 We all need a little help sometimes and our tutors can be that helping hand for your student. Our students have ranged in their learning capabilities from having learning disorders to being grades advanced to where they “should be”. Our team, at My Grade Booster, believe that all students and their capabilities are different and that this is something to celebrate. We use these differences to help progress your student in the way that works best for them to help them utilize their strengths in achieving their goals. Your student is most comfortable at home, they are in an environment that they are familiar with. This means that not only do they feel more comfortable but they are less likely to be distracted, due to knowing their surroundings. Whereas, if they are in a new setting or even the library, the number of people coming and going and the noise levels can be distracting. The method of tutoring we use is formative assessment based, meaning we are keen observers. We uncover your students’ thinking and logic, discover what they know and don’t know, and probe for misunderstandings and misconceived notions. We meet your student where they are at academically and help them to either catch up or go beyond what is being taught in the classroom, depending on the goals of your student. We figure out what type of learner your student is and how they best learn. We then work collaboratively with each students’ support system to create a customized study schedule, all from the comfort of your home. 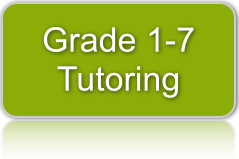 We understand that tutoring is an important investment for families and we go above and beyond to ensure you are completely happy with your child’s tutoring sessions. For this reason, after every session, we send you a progress report about what we worked on, what your child was struggling with, and how much progress they’ve made in their learning. If this sounds like something you would value, have us join your support team and help further your child’s educational goals by creating an account and telling us more about your child and their educational needs. I am so thrilled with [my child’s] progress. Yesterday she wrote a Chemistry quiz and got 100% plus 1/2 the bonus question! [our tutor] is doing an excellent job. After writing her quiz after school yesterday and receiving her mark right away, she certainly was on cloud 9. I think her confidence has improved. ...UBC finally changed my status - after two months - I've been admitted to the Faculty of Sciences! Just thought you might want to know. Thank you for all the help you've given me. The chemistry exam today was one of the easiest exams I've written. All children have a natural learning ability and it is the proper goal of education to bring out the full potential of each student as an individual. A student's education does not stop when school day is over. Much of the learning takes place at home. Research shows that on average, high school students need to set aside 1.5 hours of study time for every hour of classroom time. Those who have a supportive learning environment at home are more likely to succeed and receive entrance to the university or college of their choice.